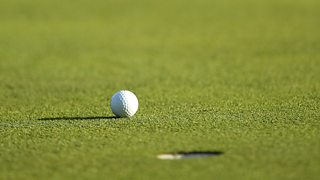 BBC Sport has announced coverage details for this year's US PGA Championships, taking over from Sky, which lost the rights to the Golfing event earlier this month. Having obtained the rights to the event at short notice, and due to it clashing with pre-planned live coverage of the World Athletics Championships and BBC Proms, most of the live coverage will appear on BBC Red Button, BBC iPlayer and BBC Sport Online between 10th and 13th August 2017. BBC Two will pick up the conclusion of each day's play during the late evening UK time. TV coverage will be presented by Eilidh Barbour, alongside the best known voices of the game; Peter Alliss and Ken Brown. BBC Radio 5 live and 5 Live Sports Extra will also again broadcast live from the Championship, led by Iain Carter and Jay Townsend. The US PGA joins the BBC’s golf portfolio which also includes live radio and extended TV highlights of the Women’s British Open at Kingsbarns between 3-6 August.